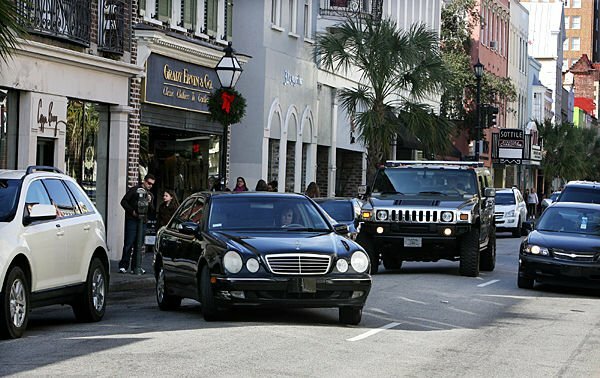 Updating the city of Charleston's downtown parking system for the first time in 20 years could lead to vast changes covering where people can park, how long they can stay in one space and how much they'll pay. The city recently issued a request for proposals for a consultant to study how the combination of metered spaces, parking garages and on-street parking districts is working to meet drivers' growing demands on the system. Ultimately, the parking study could recommend higher fees and shortened time limits for paid parking. The consultant will also be tasked with proposing new strategies, such as remote parking areas and public transit, that might help manage the mix of residents, visitors and workers moving around the peninsula's narrow streets. The study will focus on every aspect of the peninsula's parking system below Hampton Park and Huger Street. Firms interested in applying for the job can submit proposals by Nov. 1. A lot has changed downtown since the city last took stock of its parking on the peninsula, in 1998. King Street is now a thriving hub of restaurants, bars and shops. The tourism boom has brought dozens of new hotels with nearly 6,000 rooms combined. The workforce has grown with it and a large majority of those workers live elsewhere and drive to their jobs on the peninsula, according to a College of Charleston survey earlier this year. "The conundrum in Charleston is that we have a huge tourist population but we have a lot of workers coming back and forth to work," said city Transportation Director Keith Benjamin. "It’s important to figure out what that balance is." Rates and time limits for all types of paid parking. Existing and future demands on the overall parking system. The effect of removing some on-street parking spaces to create bike lanes. The expansion of a discount program for hospitality and restaurant employees. Potential park and ride sites and programs. Some processes to improve mobility downtown have already begun. The city plans to install new readers that accept debit, credit and prepaid SmartCards on all 1,709 parking meters on the peninsula by the end of the year. The Berkeley-Charleston-Dorchester Council of Governments has also begun a regional park and ride study. National mobility expert Gabe Klein was hired in 2014 to assess the transportation needs in Charleston. In his final report he recommended updating the parking meters and raising the rates to encourage and fund alternative modes of transportation.